The summer is all about get togethers, dinner parties, and cocktails on the deck. All about enjoying the amazing weather we so craved, it’s also all about the food. From grilling steaks to hosting wine dinners at home, we’re constantly thinking about what we’ll be serving at our next get together. As a pastry chef, dessert is always on my mind but most of the time, it’s the last thing on my mind and that’s where NikkiLukes Treats come in! 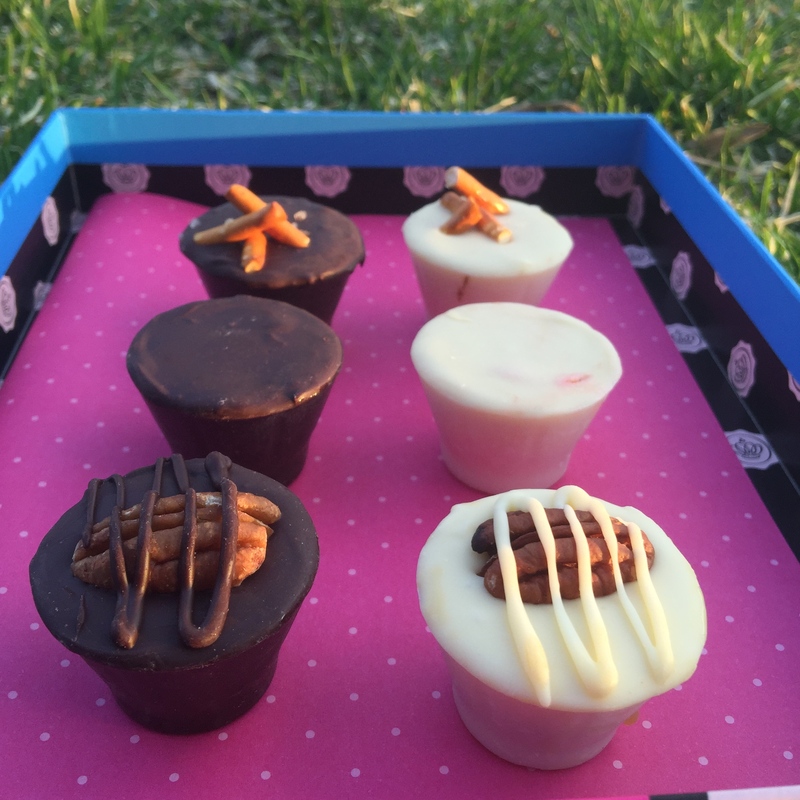 NikkiLukes Treats are liquor shots encased in some of the best chocolate you’ll ever have. Basically, it’s your dessert course along with your boozy dessert cocktail course as well – no need for both since these treats are 2-in-1! Instead of slaving over a dessert to serve your guests, why not order a sampling of these amazing treats and serve them at the end of the night? Liqueurs include: coconut vodka, cognac, tequila, peanut butter tequila, cream cognac, banana vodka, lime tequila, pecan cream cognac, chocolate vodka, apple cider vodka. See the entire menu here. 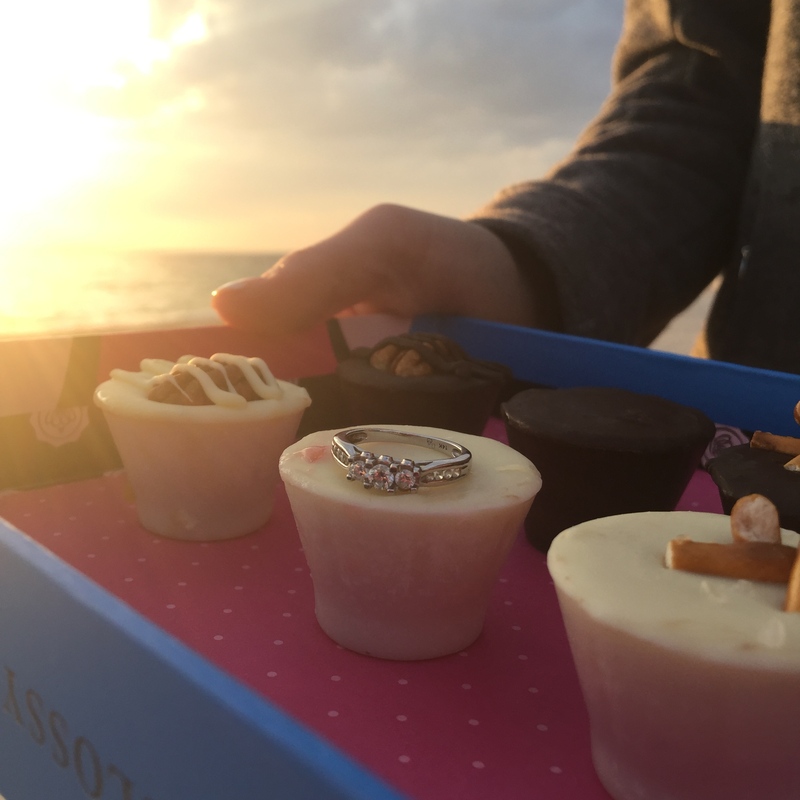 We had a chance to enjoy them at my best friend’s bridal shower on Cape Cod and it was the perfect after dinner surprise on the beach! These would work wonderfully in something as fancy as a dinner party to something as casual as a grill out. Everyone loves chocolate and booze, so why not combine them into a perfect bite? They are also great conversation pieces! 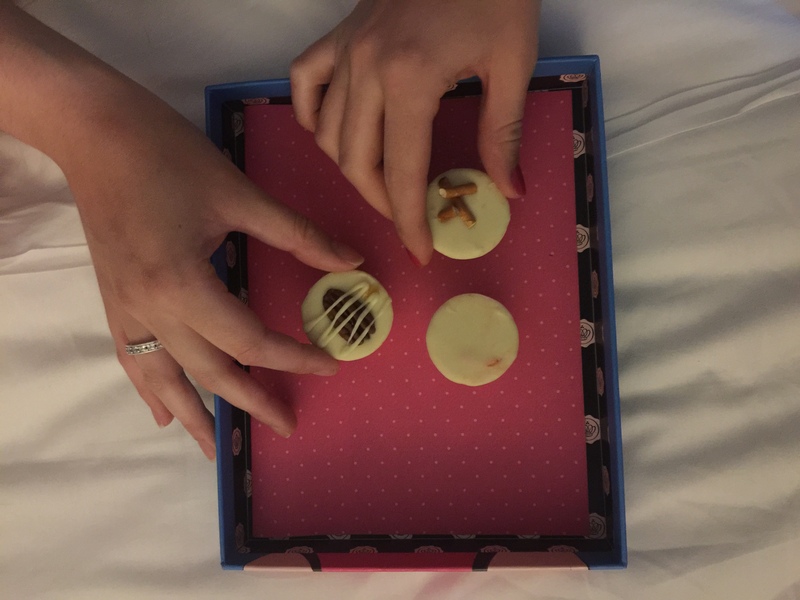 Both in white and dark chocolate, NikkiLukes Treats offer something for everyone – and they truly are delicious! My favorite? The pecan cream cognac, a special blend of pecan cream cognac within dark belgian chocolate top with a half pecan! Make sure to like NikkiLukes on Facebook and check out their website for orders. Disclaimer: NikkiLukes Treats was kind enough to send us some samples, but opinions are 100% my own and I 100% recommend you order some for your next 21+ dinner party!